On August 19, 1937 was the first born child of Harry Herman Smith and Bernice Ardella Smith in Tulsa, Oklahoma. She was the “Big Sister” to Patricia Ann Jackson, Harriet Leatrice Hunter, and Victor James Smith (also known as VJ). Kate attended grade school through high school in San Diego and promptly went to nursing school that started her career in the health field. Kate had courted the love of her life, Charles N. Bell and married him in 1953. They had four blessings from this union; Pola Delores Bell-Muhammad, Charles Noble Bell III, Kipperr Apollo Bell, and Pamela Yenoha Cheek. Kate loved God and worshiping at the Mount Erie Missionary Baptist. She was their very own Living Testimony as she displayed her wonderful hats as she strutted around the sanctuary. Her greatest testimony was her blessing of a heart transplant fifteen years ago. Kate loved cooking, sewing, baking cakes, and collecting thimbles. 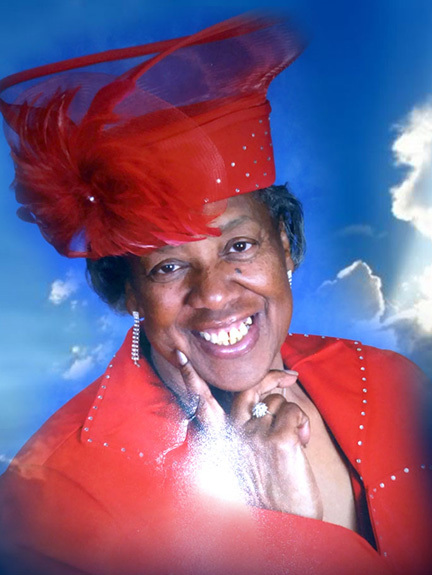 She was loved by her family and was fondly called Mama K.T., Kay, and Ainty. She especially enjoyed being with her grandchildren Ardell, Ardella, Charles IV, Brian, Cassie, Jason, Joshoah, Jhalisa, LaKeisha, Kipperr II, Terrell, Natasha, Kaleshia, Chase, Anthony, Andre, TaiQuell, Amaya, T.J., and Andrew. Kate was preceded in death by her husband, daughter Pola, parents, and sister Patricia. She leaves to mourn her; children Charles (Sally Bell), Kipperr both of San Diego, and Pamela (Tracy Cheek) of Port St Lucie, CA sister, brother, grandchildren, great-grandchildren, nieces, nephews, and a host of family and friends who will miss her until that great day.